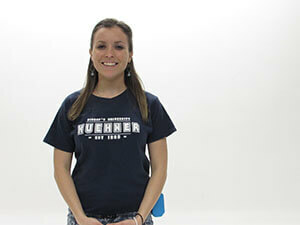 Kuehner, traditionally pronounced “keener”, is home sweet home to a medley of new and returning students. As the residence hall located closest to the Sports Plex and furthest from the Library, this New Side building always produces (among other things) a breed of students tough enough to make the daily trek across campus to class (3-5 min. ), come rain, snow, sleet, or shine! Basement, Ground Floor, Second Floor, Third Floor. Each of the RAs from Kuehner has written a bio to welcome students. If you have any questions, please email the RA for your section. Welcome to Bishop’s, future Gaiters! My name is Brielle, I’ll be the Health & Fitness floor facilitator and the SRA of the amazingly newly renovated Kuehner building. I am also from the beautiful islands of Hawaii and I’m here at the exciting Bishop’s University studying Sociology with a concentration in Criminology and finishing up a minor in Political Studies for the third year in a row. I am thoroughly excited to be part of the Kuehner RA team this coming academic year of 2018-2019 and to meet all of your new faces. In my personal time I enjoy hobbies such as dancing, writing slam poetry, and working out. I also really enjoy talking; cracking jokes and helping everyone find their place in this funky world. Because I am from Hawaii I have grown up to embrace and possess what we locals call the “Aloha Spirit” and I hope to teach you all the basics. I hope your summer is adventurously fun and I cannot wait to welcome all of you as the new family to Kuehner this coming fall! 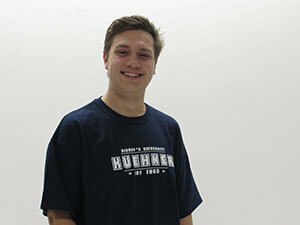 My name is Carson and I’m going to be one of the Resident Assistants for Kuehner. While Kuehner will be my new home, I’m originally from Oakville Ontario. I’m going into my third year of Business with a concentration of Global Management and Leadership with a minor in Criminology. I’m a big fan of Doctor Who, Harry Potter and Ultimate Frisbee. What I’m most looking forward to about living in Kuehner is the social environment and meeting all of you. Being the closest residence to the gym and the dining hall as well as most of the other residence buildings, you will never be far from fun activities. If you have any questions about Bishop’s or living on campus, feel free to send along your message to chobbes16@ubishops.ca. Don’t forget to bring all your purple!! My name is Victoria. I will be one of your RAs this year in Kuehner. I am an international student, originally from Paris and I am thrilled to come back to Bishop’s for my third year in the English department with a minor in Psychology. I used to be in Education before I switched in my second year. Outside of studying, I love music. Back home, I play the violin and the saxophone, but I’m taking a break from them while at Bishop’s, although I’ve got some instruments here as well! This is my second year on the RA team and I am very excited to get started on this new adventure with new wonderful residents! Living in residence is an amazing opportunity to be close to your friends and the various activities on campus and if this is your first year: Welcome to Bishop’s! Bishop’s has truly become my second home and I couldn’t be happier about staying in residence. Plus, bog-style has the best of both worlds: you get to be close to friendly faces and have your personal space. I’m an animal lover through and through, as well as an introvert but I love meeting new people. All that means is that I’m a great listener, so if there is anything you need, someone to talk to and unwind, that’s what I’m here for! If you have any questions, don’t hesitate to send me an email at vdemorel16@ubishops.ca. I’m always happy to help! Have fun this summer and don’t stress too much, next year is going to be wonderful! 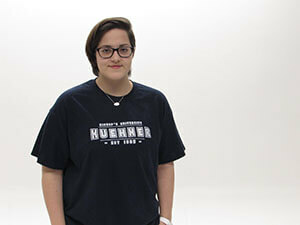 My name is Aline Pierrisnard and I am one of your Residence Life Coordinators for Abbott, Kuehner, and Paterson. I live in an apartment in Mackinnon, but you can also find me in my office in Paterson during the day time. 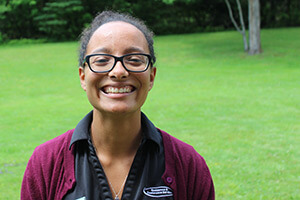 I am a full time staff member who is dedicated to ensuring that everyone’s experience in Residence is as safe and fun as can be! I am a Bishop’s graduate with a Bachelor’s degree in English Literature and Sociology. I am originally from France but I have lived in the Middle East and UK for the majority of my life! I love going on walks and hiking, whether it be to de-stress, relax, or just for fun. Aside from walking, I am a huge fan of the TV shows Greys Anatomy, Criminal Minds, and NCIS. I am passionate about social justice, deconstructing false historical narratives, and small fluffy animals. I hope you all have an amazing year here at Bishop’s and refer to it as your home away from home after just a couple weeks here! If you have any queries or concerns, or would just like more information so that your experience during move-in can be as rewarding and stress-free as possible, do not hesitate to contact me at apierris@ubishops.ca or once on campus just swing by my office – located just down the hall from the Paterson front desk! Don’t forget to bring your purple!